The first shot, a good effort by Oldham, was a free kick on 8 minutes which Carson had covered. complicated, which often caused them to lose the ball, and their final passes weren’t good enough. The front three pressed the Oldham defence well to prevent them from playing out from the back. Rams free kick and an Oldham own goal followed from the excellent free kick delivered by Wilson. made an opening for Benteke who forced a fine save from Carson. misunderstandings between players, which is not surprising with only three senior regulars in the side. wide with another shot. The 4-2-3-1 formation worked well for these players against League 2 Oldham. We are, more than we have been for a long time, a work in progress. Overall, we didn't learn a lot of new things on Tuesday. Some lovely football at times, occasionally over elaborate in the first half, but you can see what the plan is, and I like it far more than this time last year. Whether it will work is a completely different question, and needs a large amount of luck, both with Mel having picked the right management team, and us having the players to make it work. We are still short of the quality and/or depth required in a number of key positions, which makes Frank's job more difficult, because he needs to make a success with a squad "bullet holed" with deficiencies for his style. As we stand, this is the best I can make of it. Back to tonight. MOTM was a tough choice, because no one was outstanding. Carson made two key saves, Mount did some wonderful things but also lost possession in key areas at times, Evans had a good first half apart from one key loss of possession late on which should have been punished (and he was quiet in the second half apart from one marvellous redeeming tackle), Malone showed glimpses of quality interspersed with moments of lack of composure, and Tomori slipped in the first half which could have resulted in a goal, but otherwise was a class above his fellow defenders. Wilson should have scored. 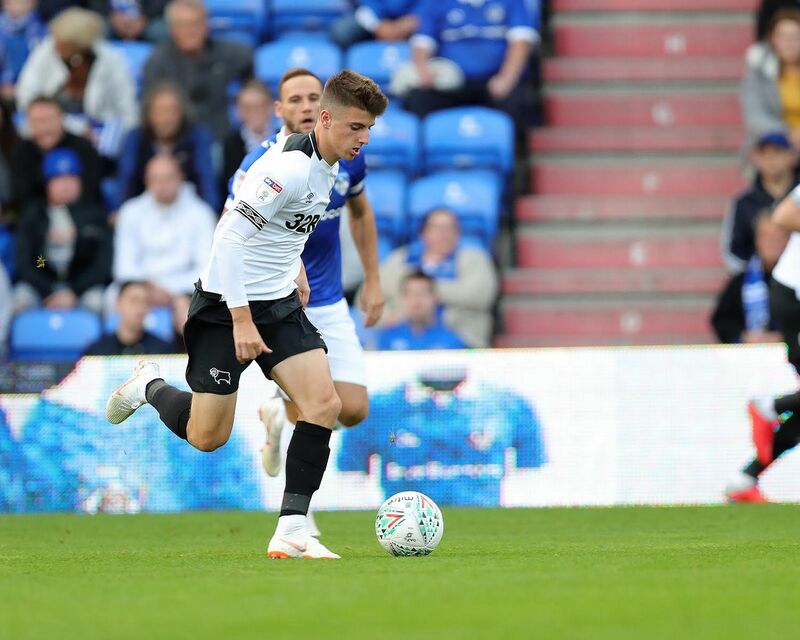 Marriott reminds me of the terrier-like Bobby Davison, but he has nowhere near enough physical presence to threaten Waghorn as our number nine. All this hotch potch of information makes me think we need to ditch 433 once and for all. Marriott with Waghorn. Three centre backs - Tomori, Davies and either Wisdom or Evans, with Pearce in reserve. Wilson can play right wing back, he has already shown he can defend with that last ditch challenge against Leeds on Saturday. Lowe or Malone as the left option. This allows Tom to come into his element, with Bryson and Mount alongside him. If Tom isn''t mobile enough, then play Evans. I also have no problem with Bennet in the right wing back role, or as replacement for the front two. We still look vulnerable to corners, long throws and set pieces, especially when aimed at our left back. Davies is a key component, and it will allow Tomori to replace Keogh, who basically abdicated heading responsibilities after the first 25 minutes tonight. He realised that his league two opponent was too strong for him in the air, which meant that Tomori had to cover both positions, aerially - a job which he did admirably. Get Davies fit. Play five across the middle. We still have a reasonable chance of a good season, but we have an awful lot to learn....and quickly. Probably the configuration and style of play best suited to what this squad does and doesn't have to offer would be identical to Southgate's plan of attack of England in the World Cup: limit centre-halves' exposure, use pace and crosses to cover for a lack of great central midfield creativity, and focus attacks on one big forward man. Not bad, not great but a win is a win in the Cup. A reasonable performance. No more than that. A lot of good things that might have led to more goals had either the final pass or the shot been of the necessary quality. A lot of poorer things too. Failure to win headers at the back. Poor passes giving the ball away to the oppo which, in the League would have led to a goal against. Fortunately, Oldham were incapable of making us pay although they did force Carson into a couple of very good saves and also hit the bar. In the course of the day I will be watching the highlights and, later, the full 90. More comments, if necessary will follow. I listened to updates on Radio 5 Live from a truckstop near Plymouth ( all two of them? ), and the girl doing the reports is either a Rams fan or fell in love with Mason Mount! She describes Mount’s goal in glowing terms, described the win as “comfortable” and told us that the travelling fans absolutely “leerrvvved” Mounts goal, and seemed to be on the point of dribbling uncontrollably! PS: I started listening to Talksport, but after giving info on virtually all of last nights ties, they didn’t mention Oldham c Derby on a single occasion. Stuff you, Talkspit, I’ll listen to Radio 5 Live! I think the producer on TalkCrap is a Notts Forest fan. It's very rare that we get a mention. No further comment from me. The honourable member for Stockport covered the important stuff.